“Spirit in the Sky” is an odd song. 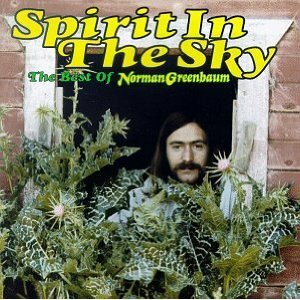 It’s not so much that its progenitor, Norman Greenbaum, grew up in a semi-Orthodox Jewish home and, as most know, the lyrics of the song mention how the singer has a “friend in Jesus.” The song is odd because of its fuzzy guitar riff that is about as infectious as the common cold. The riff is spectacular. It is classic rock ‘n roll (as John Lennon said) and it’s inventive. The song came into thought when Norman Greenbaum, after the break-up of his psychedelic jug band Dr. West’s Medicine Show and Junk Band (perhaps best known for their song “The Eggplant that Ate Chicago), was watching Porter Wagoner singing a gospel song on TV. He thought that he could do it and wrote the piece in 15 minutes. The eminent guitar riff came later. The song is an excellent example of how to make an original guitar riff that will make you money for the rest of your lives. Yes, Greenbaum has made his living on this one song, cashing checks of up to $10,000 when his song is used in a movie or commercial (it’s used a lot). Pretty awesome! ← Radiohead – Ahead of the Music Business?